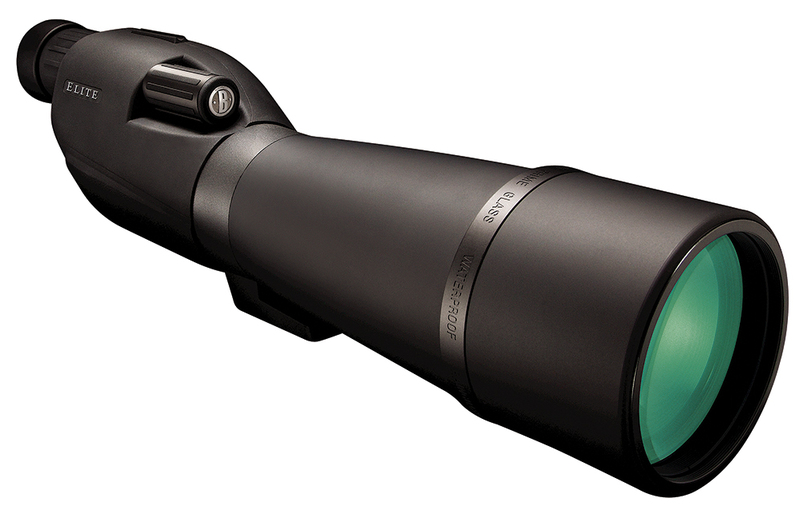 An Elite spotting scope gives you the advantage from the world's high point of brightness, clarity and edge-to-edge detail, whether you're birding at sea level or hunting above timberline. Its ED Prime Extra-Low Dispersion glass, premium BaK-4 prisms and fully multi-coated lenses deliver flawless color fidelity, ultra-crisp images and optimum light transmission. Waterproof construction and the RainGuard HD coating keep things clear.